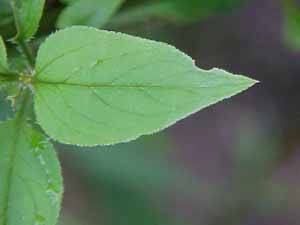 Description: From 1 to 3 feet tall, Leaves are broad, paired and with fringed leaf stalks. 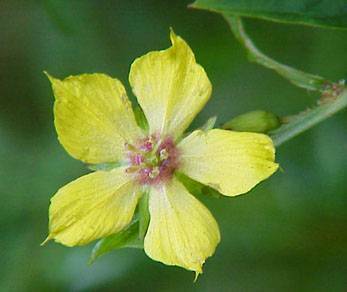 Flowers emerge at leaf axis, yellow with 5 petals and 5 stamens, center of flower has a red tinge. Flowers node downward and petals are slightly toothed.